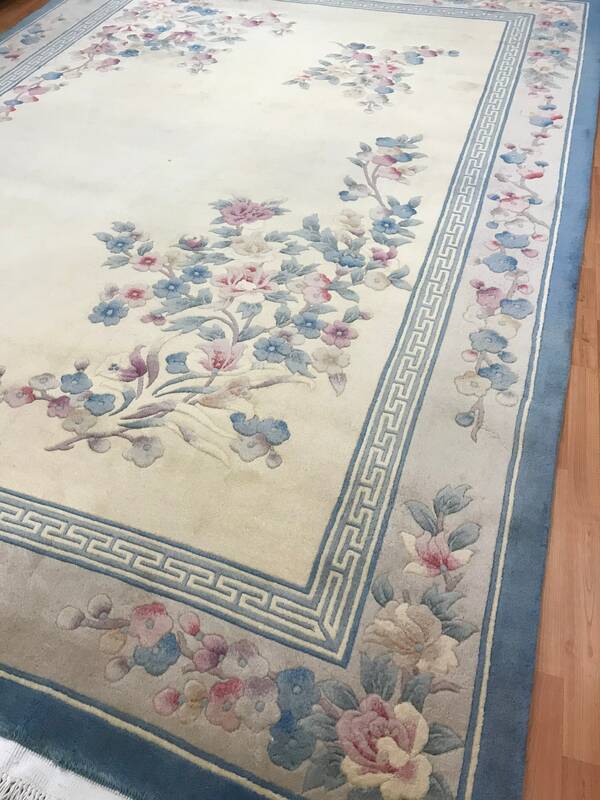 This marvelous Oriental rug is a 8'3" x 11'6" Chinese Art Deco, circa 1990s. 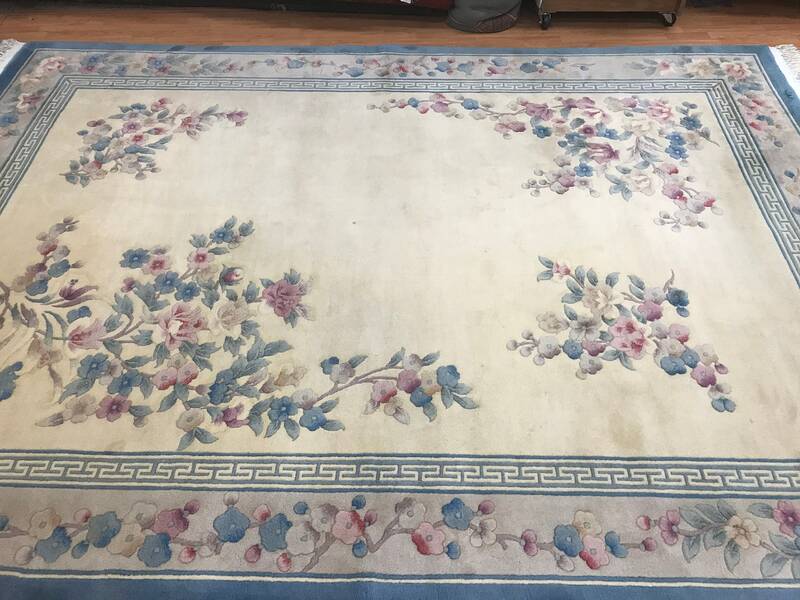 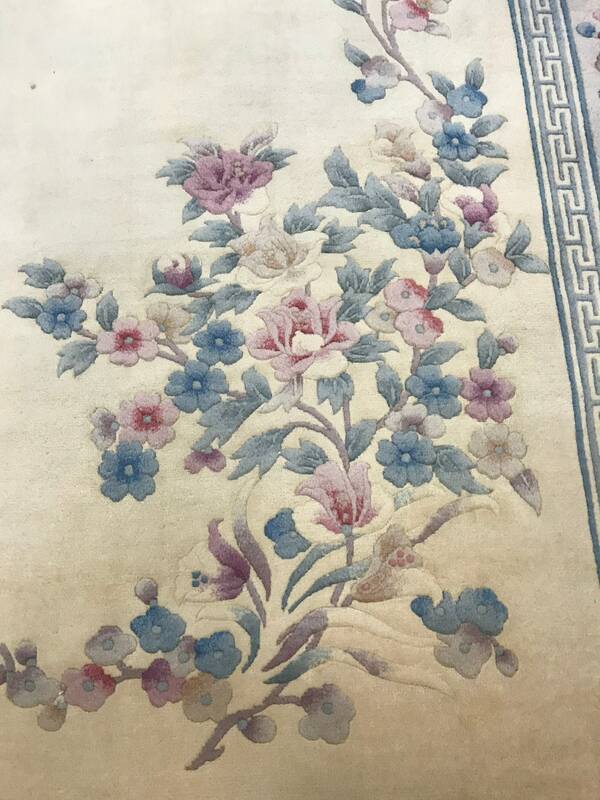 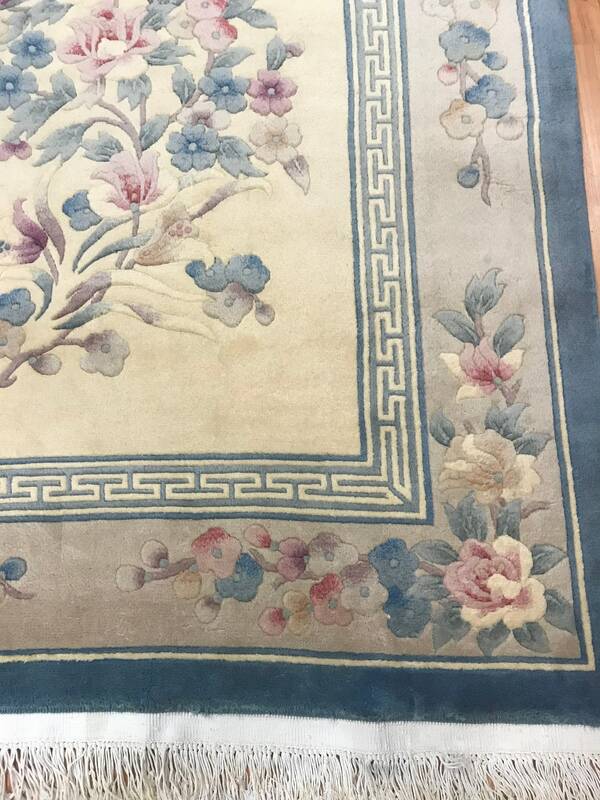 This Chinese rug is hand made, has a beautiful traditional Chinese design and is made with a 100% wool. 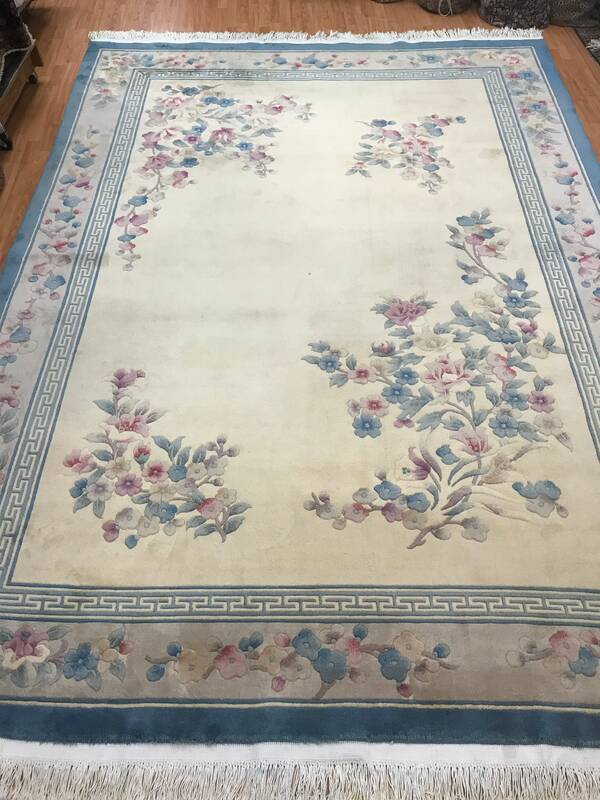 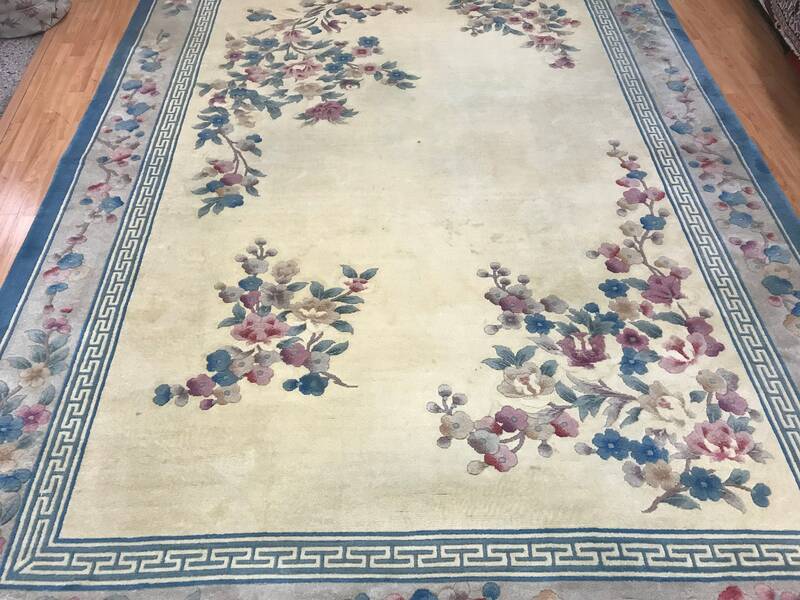 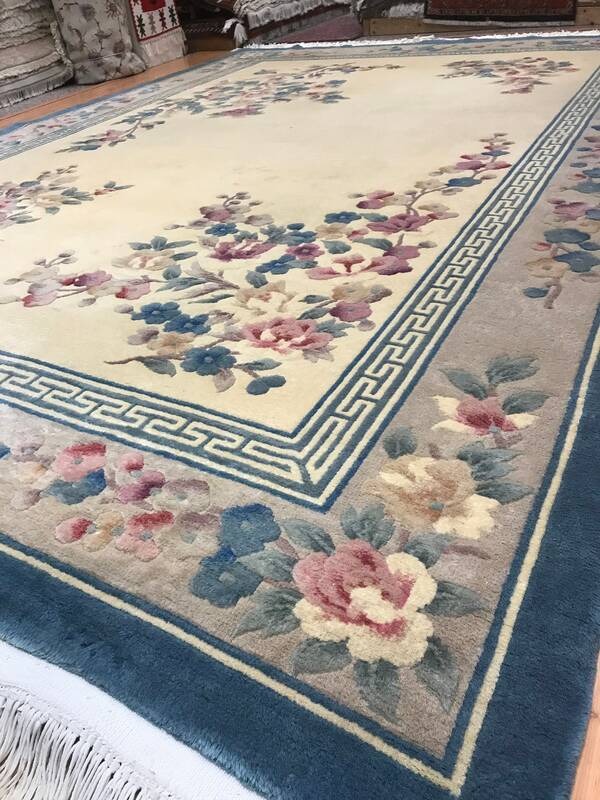 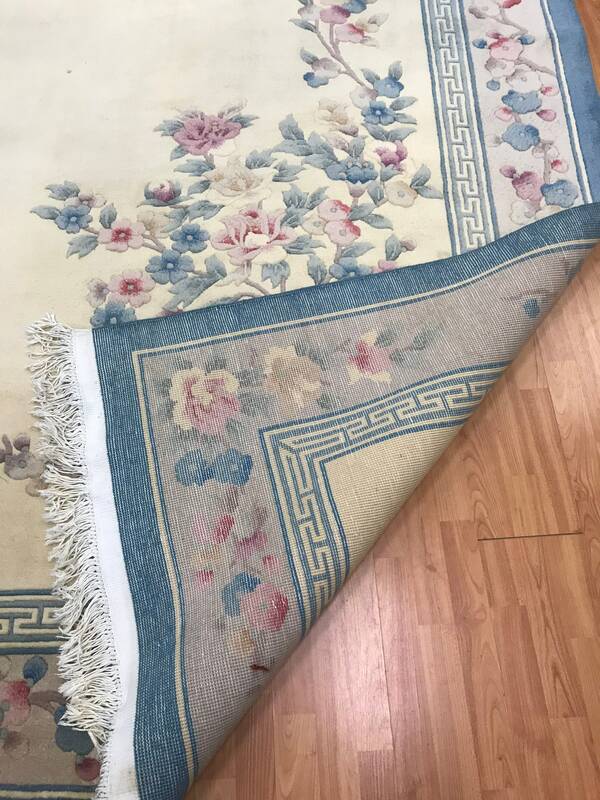 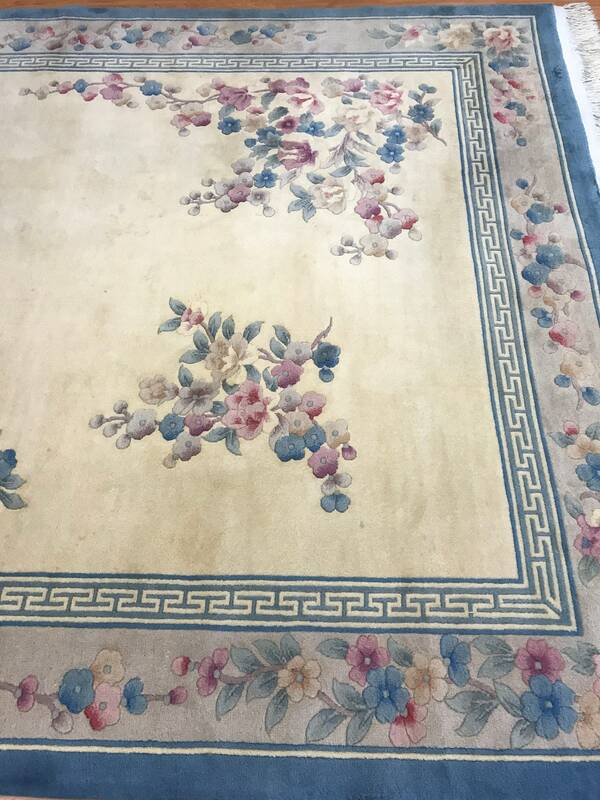 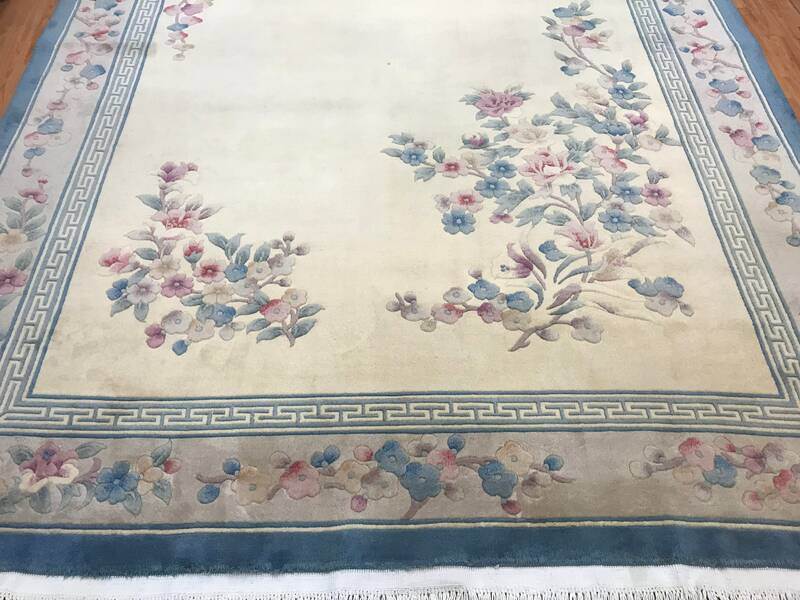 This Chinese Art Deco rug has a full pile, is in good condition and was recently professionally hand washed.